What is the difference between theoretical quantum physics and experimental quantum physics? Short answer: Theoretical physics is one of two branches of physics: theoretical and experimental. Like almost all other types of physics, quantum physics has both a theoretical physics branch and an experimental physics branch. Explanation: Experimental physicists do experiments to find out how accurately physics theories describe the real world. For example, they shoot atoms and bits of atoms around in particle accelerators. They measure the speed of light when it travels through water versus empty space, and so on. Theoretical physicists don’t do experiments. They read articles and books about physics experiments. They think. And they play with a lot of mathematical equations on black boards or white boards. Then, if these equations accord with experimental results, they publish them along with explanatory text in physics journals. The job of theoretical physicists is to develop mathematical equations and verbal explanations that describe the results of physics experiments. Ideally, theoretical physicists also use their explanations and mathematical equations to predict experimental results. Albert Einstein and Stephen Hawking were both theoretical physicists. They did not do experiments. They studied, thought, and developed new theories and equations. Now to turn to quantum physics. Quantum physics is the field of physics in which physicists learn about certain types of unusual behavior of particles smaller than atoms but sometimes the size of atoms or even larger. They focus on the “quantum state.” This is the state in which these tiny particles can be in many positions at the same time and where they can act as both waves and particles. Many quantum physicists are theoretical physicists. But many others do experiments. This is the same in most other fields of physics. For example, physicists who study the physics of heavenly bodies, astrophysicists, can be either theoreticians or experimentalists. The experimentalists often use telescopes for their work. The theoreticians write equations, these days, on white boards. 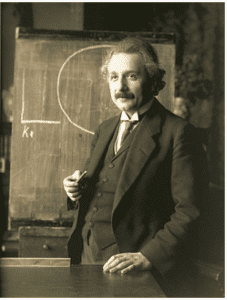 Before the mid-1900’s, most physicists were both experimentalists and theoreticians. For example, Isaac Newton, who founded modern physics, did many famous experiments. For example, he shot beams of light through prisms. But he also was one of the inventors of calculus, which he used when developing theories which explained the results of his experiments on the motion of objects. Isaac Newton developed the modern type of physics theory—ones which are expressed using mathematical equations. As an example of a mathematical theory, Einstein’s equation, e = mc2, is his theory of the relationship between the quantity of energy and of mass. Today, few, if any, physicists do both theoretical and experimental work. Both fields require extremely specialized knowledge and skills. But theoreticians and experimentalists work closely with each other to push physics forward. What does “measurement” mean in quantum mechanics? In quantum mechanics, when physicists measure a property of a quantum particle, like a photon, they are really saying that they detect one of its properties. The key to understanding why “measurement” is of such consequence in the quantum world is understanding that detection creates a fundamental change in a particle’s condition. For example, let’s take the detection of a photon. Here’s a highly simplified experiment: we hold an extremely dim lamp in front of a photographic plate. It’s so dim that it emits only one photon at a time. The photon exposes the plate in one spot and makes a mark there. Once the photon hits the plate, we know the position of the photon—it’s a certain distance from each edge of the plate. So, we have detected it and, specifically, we have detected its position. Quantum physicists would say that we have “measured” its position. This might seem just like measuring anything in the macroscopic world. For example, let’s say that a biologist uses a microscope to detect the position of a living bacterium in a living human cell on a slide. She measures the distance of the bacterium from each edge of the cell. Here’s the difference: prior to the biologist measuring the position of the bacterium, the bacterium was happily swimming about the cell. After the measurement, same thing: happily swimming bacterium. What was the photon doing before the measurement, before it hit the photographic plate? In our physical universe, it wasn’t doing anything because it hadn’t yet made an appearance in our universe. Measurement converts the particle from a superposition. So, did the measurement create the photon? No. Prior to hitting the plate, the photon was in a la-la land of being in all possible positions in the photographic plate and maybe elsewhere as well. This condition of being in many possible positions is a “superposition.” A superposition of a particle is a state that we never observe in the physical universe. Have you ever seen an object occupy many positions at the same time? Neither have I. But prior to measurement, the photon was in every possible position that the lamp could have shot it to. The condition of being in a superposition is also called a “quantum state.” It is the condition in which the weird behavior of quantum mechanics occurs. 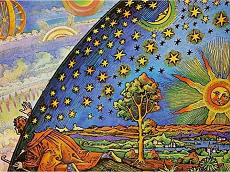 One way to look at this condition is to see it as a sublevel of reality underlying our everyday physical universe reality. This is how the Transactional Interpretation of quantum mechanics describes the quantum world. Two levels of reality? This is not such a strange idea. 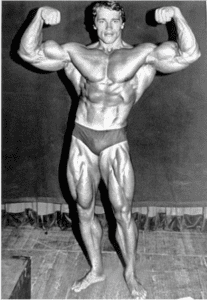 Consider a human body—it can look quite solid and imposing, especially the body of Mr. Universe. But when considered at the reality level of atoms, 99.9999999% of that body is empty space. Here’s another example: Imagine you were living the life of a character in a video game and, suddenly, you could see the computer coding that the video game was running on. Both the video game and the underlying coding are real. But they are different levels of reality. I called the quantum level underlying the regular physical universe level, “la-la land.” One of the developers of the Transactional Interpretation, Dr. Ruth Kastner, calls it “Quantumland.” Good name. The accompanying image shows the reality level of Quantumland as a red mesh and our physical reality as a green film. The position of the photon prior to measurement is possible anywhere in the red mesh hump. The hump represents a wave. 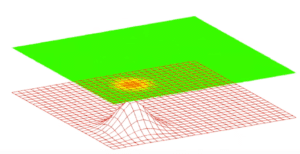 This is the famous “wavefunction.” When the particle is measured, the wavefunction “collapses” to one particular position (orange dot) on the green film. The green film represents a photographic plate in physical reality. The position we will be most likely to detect the particle is the highest point of the wave. 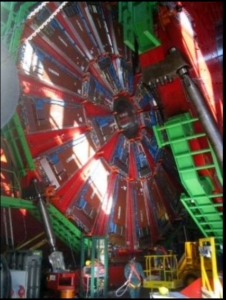 As it happens, the photon was measured where it had the highest probability of being measured. Of course, other photons might be found in lower probability positions. In short, measurement in quantum physics converts a multiplicity of possible states within a sublevel of reality (Quantumland) to a single definite state within physical reality. These are just words trying to describe equations. What leads physicists to think that prior to measurement, the photon is in a superposition of many possible locations? This is what the math is saying. The results of experiments on quantum particles can be predicted using mathematical equations. Initially, Shrodinger’s Equation was a key quantum mechanics equation; later, Schrodinger’s was upgraded. Schrodinger’s and later equations which are used to correctly predict quantum behavior, generate only probabilities of possible positions of particles. So, if one runs an experiment repeatedly, the equations correctly predict the percentage of times that the particle will be detected in any particular position. Only when the particle is measured, can it be assigned a unique position. That information appears nowhere in the equations. So, many physicists consider that the equations describe a superposition of states. Why take the equations so seriously? Why do our theories of what’s going on have to fit the math? Physicists have the goal of describing physical phenomena with mathematical equations. In fact, they do not honor a description of the world with the label “theory” unless it is a mathematical equation or a set of mathematical equations. It was not sufficient for Einstein to say that matter can convert to energy. That’s not a physics theory. When he wrote E= mc2 , he had written a physics theory. So, physics theories are mathematical statements. The verbiage describing these theories are called “interpretations.” In physics, the interpretations must fit the equations, not the other way around.